A backyard garden or patio is a wonderful scene to wind down, relax, and enjoy time in. It provides comfort and serenity to help melt away the stress of the day. It is also beneficial for the sake of hosting parties or get-togethers. The addition of water adds to the beauty and design of any backyard with the greatest of ease. No to mention water fountains, backyard ponds or any type of moving water adds negative ions to the space automatically making you feel better without having to do anything but enjoy. Water garden fountains present one unique way to bring the backyard alive, as do backyard ponds. Patio fountains and water gardens can provide a soothing aid for relaxation. This simple addition can become a centerpiece of attention for friends and family, taking a backyard from simply average to extraordinary, providing ultimate enjoyment for years to come. Backyard ponds provide a plethora of possibilities. Besides the aesthetic value it adds to the property, fishing and swimming become possible if the pond is large enough. 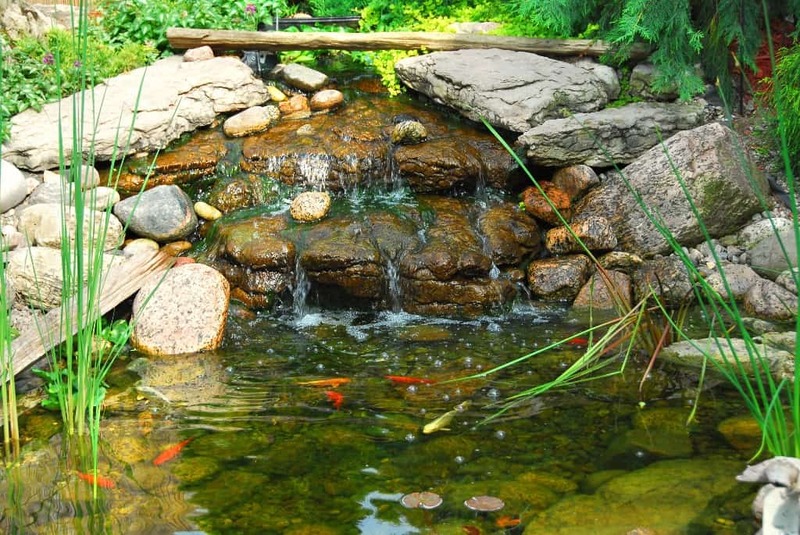 Backyard ponds are not only useful, but bring a wonderful sense of nature into an otherwise mediocre part of the land. The attraction of wildlife, such as deer, birds, and other animals makes for a connection to nature from the comfort of home. When a backyard pond or water fountains for patio areas are installed, it provokes an invitation to spend time there. Reading, for example, is quite enjoyable with the sound of water to calm and relax the body, versus the sometimes noisy drone of a home. This simply extravagant feature can do well for overall well-being. Personal desires and design of the property will more than likely influence the choice of aquatic features one chooses to install. When it comes to water fountains for patios, for instance, there are a multitude of choices that range from very simple to immensely extravagant. Water fountains can serve dual purposes, as well. In some cases, a fountain may double for a birdbath that summons wildlife to visit. Fountains may also come in the form of a waterfall that can be combined with backyard ponds to create an extraordinary sight and focus of attention for visitors. The many choices available for different fountains and ponds make it easy to choose the one best suited to both need and desire. The area lived in, the type of home construction, and the interests and style of the homeowner will undoubtedly all come into play when making a choice of enhancement such as these. The styles available are innumerable, as are the types of materials used to manufacture this fantastic addition. With a budget in mind and ideas freely flowing, it is the right time to investigate the many options available. Regardless of choice, the changes brought about will certainly make a backyard more than another spot of land to mow. Indeed, it is quite possible to turn any backyard into a mystical and marvelous area where some will find they spend more time than ever before.